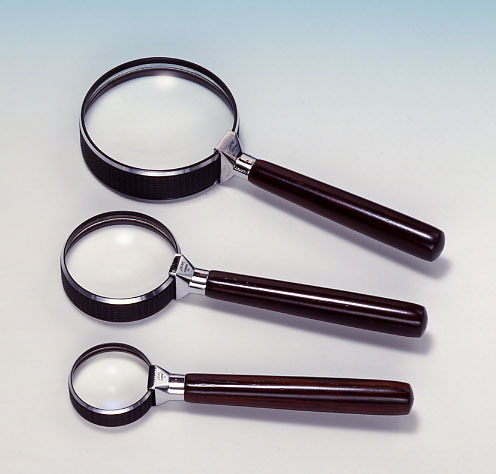 The magnifying glass introduced here appears to resemble, in its outside appearance, the classic magnifying glass used by the famous detective Sherlock Holmes at the end of the last century. But Peak Achroma Loupe is greatly different in its function and can give you more accurate information which the piercing eyes of the great detective could not detect. The reason for the above is Peak Achroma Loupe employs a newly-designed achromatic lens which is composed of two optical glass lenses cemented together. The image seen through this lens is free of color run and gives sharp contours so that no vague lines will be found throughout the entire image field. At the base of the lens frame of this Achroma Loupe, you will find a red point. 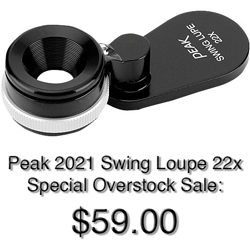 Use the loupe with the face having this red point upwards. 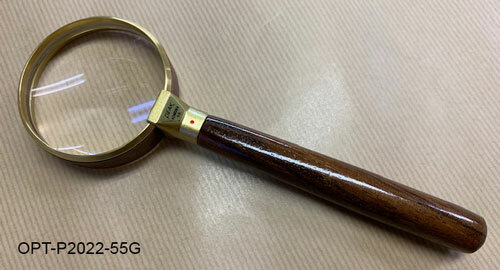 The solid lens frame and the wooden handle made of rosewood, which develops a more beautiful sheen the more you use it will make the Peak Achroma Loupe worthy of your treasured use. It will also become your good assistant in your research and inspection work and your good companion in your hobbies such as works of art, horticulture and handicraft.